We are a one-of-a-kind landscape & design company in Northern Wisconsin that takes care of our customers and has a high regard for customer service and satisfaction. Work closely with our customers to achieve the desired result and best solution for a beautifully landscaped property, area or feature. 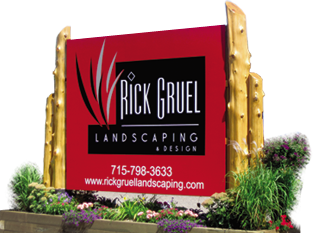 We have well trained professional landscapers knowledgable staff & employees to help you with questions & design elements. Call us to schedule a FREE consulation today 715-798-3633!